ICON Custom Home Builder is among the area's most conscientious, detail-oriented, and quality-minded builders. We work with you to create a home that reflects your unique style and personality. Classic New Mexico Homes strives to create a truly custom home that stays true to the authentic pueblo style, territorial style, and Spanish colonial style that is an integral part of New Mexico architecture.. From the soft, free form adobe buttresses and walls, to the warmth of the hand hewn beams, corbels and canales, a true pueblo style or sometimes referred to as "Santa Fe style", home will never be outdated. You will not find more artistic beauty, quality, or attention to detail put into a home. Your home will be energy efficient and have modern amenities without compromising it's timeless charm. We specialize in adding character to a home through unique touches such as built-in window seats, wooden/adobe bancos, and specially carved lintels for interior windows and exterior gates. We utilize as much native material as possible, such as adobe, flagstone, Douglas fir, cedar, rock, stone, and saltillo tile. We now offer a choice of cabinetry. We can build custom cabinets in our own shop according to the owners' preference. You will find that our crew is hands on, knowledgeable, and dedicated to creating an artistic home that you can be proud of. It is our policy when designing a home to design according to the site. We take full advantage of the available views and any other lot assets. Every aspect of our client's lifestyle is taken into consideration when designing a home. It is our trademark to complete the construction in a way that preserves the native vegetation and gives the impression that the house grew right up out of the ground. 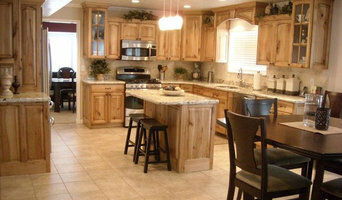 Although we specialize in native New Mexico Styles, our main goal is quality and energy efficiency. We build all styles of home from Tuscan to Contemporary. We also offer design and consulting. 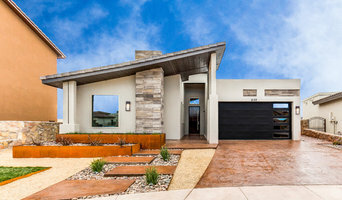 Twice named Builder of the Year for contributions to the industry and community, and recognized as one of the country’s most affordable new home builders, View Homes (building as Aspen View Homes in Colorado Springs, Horizon View Homes in Northern Colorado and San Antonio, and Desert View Homes in Texas and New Mexico) was the nation’s first recipient of the National Housing Endowment Award by the National Association of Home Builders for “exemplifying philanthropy in its truest form.” From energy saving construction to stylish exteriors to trending interiors, View Homes (A+ accredited members of the BBB in Texas, New Mexico and Colorado) is dedicated to providing the best new home warranty and customer service in the industry. The View brand of home building companies is one of the nation’s top 100 new home builders and one of the country’s top ten fastest growing privately owned new home builders with divisions in Colorado, Texas, and New Mexico. Interior Design services, Commercial & Residential. Serving El Paso Texas, Las Cruces New Mexico and Cd. Juarez Chihuahua Mexico. "Making the world beautiful, one room at the time"
Hakes Brothers builds homes in the Rio Grande valley, from El Paso in the south, to Albuquerque in the north, and many communities in between. Our design professionals have created home designs that cater to your needs, and our design consultants will help you personalize your home’s colors and materials to reflect your style. Visit our model homes and experience why Hakes Brothers is the home builder of choice for New Mexico and West Texas. With a passion for quality and a commitment to integrity Padilla Homes has been proudly serving El Paso, Texas and the Southwest since 1986. Our team has the proven experience and knowledge to help craft your new home. 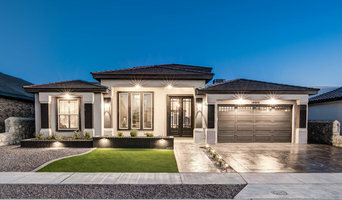 Whether you are ready to design your home with the help of our Architects and Designers, select from our extensive library of unique floor plans or ready to move in to one of our beautiful model homes, Padilla Homes is here to serve you. We are proud “A+” Members of the Better Business Bureau and through the years have built successful relationships with hundreds of happy and returning customers. It is with their support we continue to shape the greater Southwest. At Padilla Homes we are committed to our community and environment. We've helped built solid foundations for the future of our community. Our homes strive toward energy efficiency and sustainability. We have proven and successful experience in Energy Star and Leadership in Energy and Environmental Design (LEED) programs. 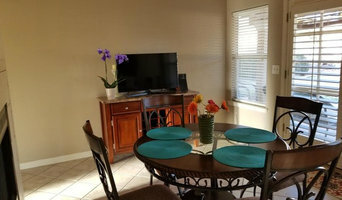 Contact us at our website <a rel="nofollow" target="_blank" href="http://padillahomes.com">http://padillahomes.com</a> and come see why our customers are truly proud Padilla Home owners! PSI Project Specialist Interior for LOWE'S W. El Paso TX. Kaizen is a Japanese word that means continuous improvement. It is composed of two words: Kai which means change and Zen which means good or better...so together it becomes "change for the better". Custom Home Building: It is a common misconception that a custom home automatically means a more expensive home. At Kaizen, we believe that if you are going to make your single largest life investment on a house, you might as well get exactly what you want and need. This does not mean you spend more on the house, it means that you spend your money to obtain what you actually need instead of settling on what was available on the market at the time you were ready to purchase. Kaizen has the in-house resources to work with you to design the perfect home that fits your current and future needs, your own personal tastes (not the builder's), and of course your budget and timeline. If you are in the market to build your dream home, give us a call...our no pressure/no commitment approach will allow you to find out if Kaizen is the right builder for you. Since 1994, Ridge Top Construction has provided General Contracting and Expert Roofing services in the greater Las Cruces area. We specialize in roofing and can help you with everything from new construction to water leak repairs. We strive to provide the absolute best value and quality for our clients. Contact us today! Custom Home Builder. Green Remodeling. Energy Audits. Design Build. Building Science oriented builder. Unique designs.